It seems to be traditional now that Accent UK take a trip to Waterside Arts Centre to catch up with the two ladies, Maggie Fox and Sue Ryding, that are Lip Service, for their latest two woman show. 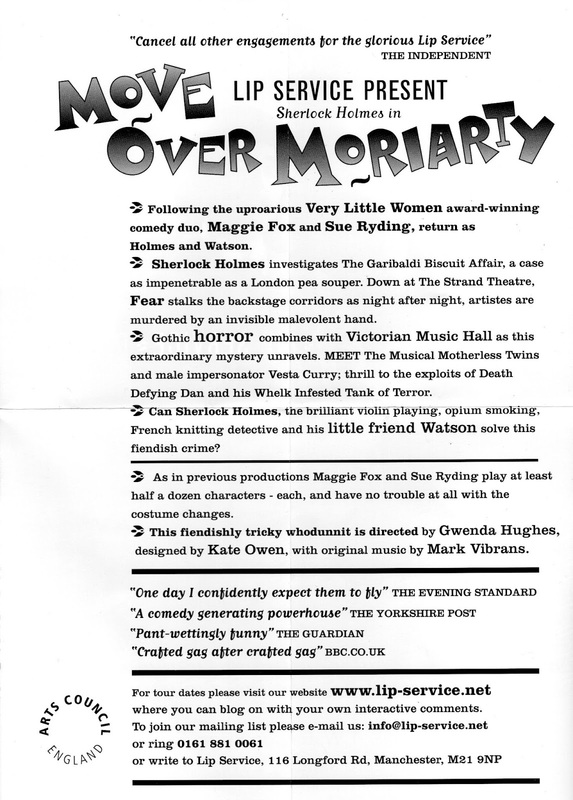 This year the ladies turn their attention to bring a Sherlock Holmes tale to the stage. As we have come to expect they each tackle many roles (so there are plenty of costume changes), they poke fun at the subject matter and they enjoy themselves. 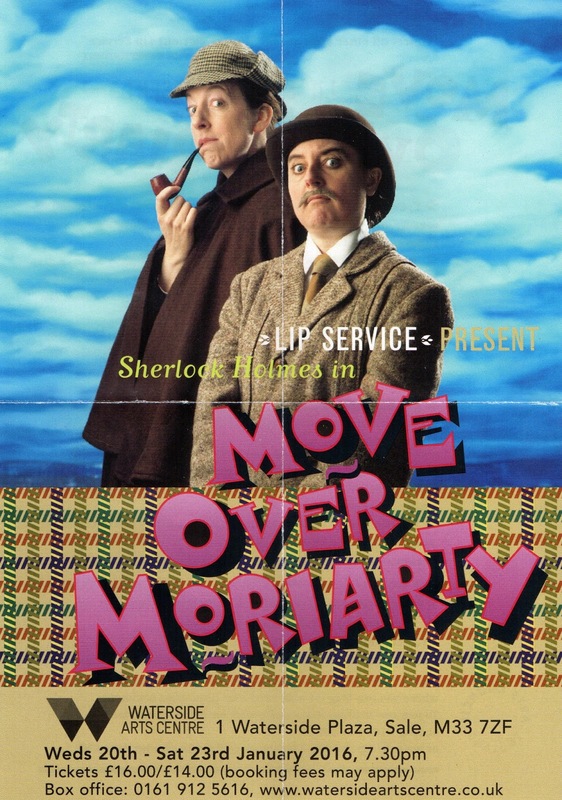 What I love about these ladies is that they look to be enjoying themselves as much as the audience and there are moments when they 'seem' to improvise to great comedic effect. I say 'seem' as it is so funny that it feels like these moments should be part of the play (and maybe they are). With all the rushing around and costume changes Watson came on stage without his moustache. 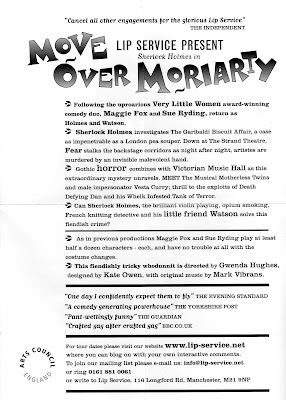 I think everybody noticed it, Sherlock certainly did on the stage. 'Ah,' he said, 'you've shaved'. Watson then quickly disappears through the door and returns almost immediately with moustache. It's a very British act and I'm not sure that it would travel well abroad but young and old in the audience enjoyed every minute. Can't wait to see what the ladies come back with next year. A Sci-Fi adaptation would be cool. Tales of WesterNoir #2 and a review of WesterNoir #3. 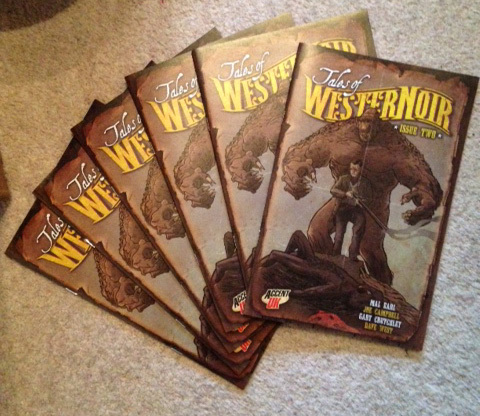 Tales of WesterNoir Issue 2 (and not book 2 following a few comments... rightly made) has arrived and it looks great. Both stories in this issue feature Jim Wilson, the monster hunter before Josiah Black, and who Josiah killed in WesterNoir Issue 1. My story 'Lure for a Monster' has been illustrated by the very talented Mal Earl and Gary Crutchley's 'A Righteous Man' by the equally talented Joe Campbell who brought my Missing : Have You Seen The Invisible Man? story to life a couple of years ago. Two very different styles make for a very interesting book visually. Tales of WesterNoir Issue 2 will be launched at the DemonCon event in Maidstone on the 7th February. WesterNoir Issue 3 got a great review over at IronShodApe.wordpress.com, from a new reader of the series. It's great to be heading back to Helsinki, and whilst we are returning to a lot of the Cons we enjoyed last year, we have added a couple of new ones too. Forget 'Winter is coming', it's arrived and the last two days have seen me defrosting the gate before I even get to try to defrost the car. It's stunning and I have absolutely no idea how it could have formed, standing perpendicular to the ice that had formed on the water in the bowl. WesterNoir gets a good mention in the latest issue of Comic Heroes thanks to Mike Garley. Mike needed to talk to an independent creator about the implications and challenges of producing an ongoing series and thought of us. 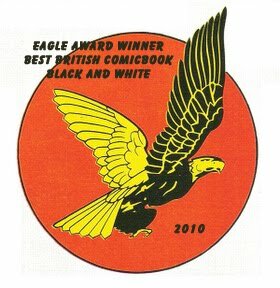 Following on from the issue before Mike continues his Creating Independent Comics feature and it is well worth reading if you're starting off. Well, actually there's insight to be gained even if you've been creating them for a good few years. I look forward to reading where Mike goes next with this. WesterNoir #1 is now available on Comixology. had I been illustrating it rather than Gary Crutchley. 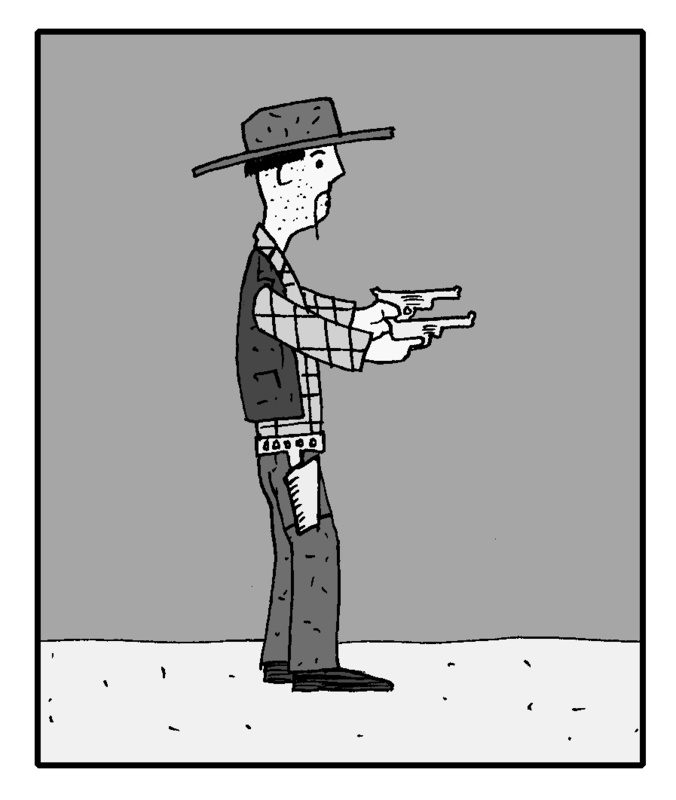 The great news is that I finally managed to get WesterNoir issue 1 up on the Comixology site. 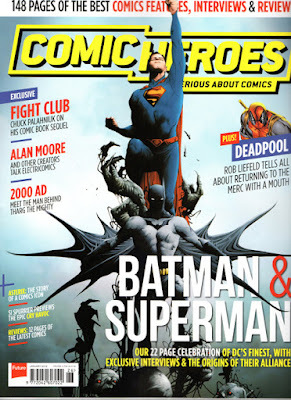 Previously I had tried to get our comics available through the LUSH Comics digital comics site but this has now ceased trading and Comixology really is the place to be. You can find it at www.comixology.co.uk and www.comixology.com. Some kind soul has already given it a five star rating, which is a great start to the year.